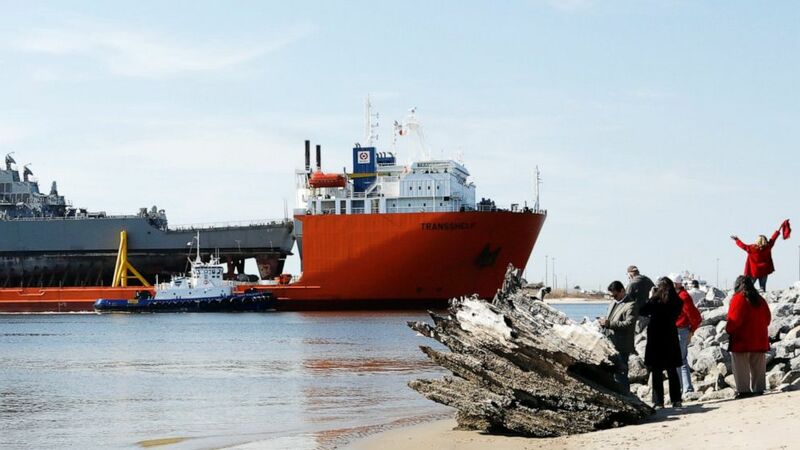 (Rogelio V. Solis/AP) Area residents watch the transport vessel Transshelf carry the damaged USS Fitzgerald, a U.S. Navy destroyer, up the Pascagoula River in Pascagoula, Miss., Friday, Jan. 19, 2018. The Navy continues to strive to achieve and maintain a climate of operational excellence. 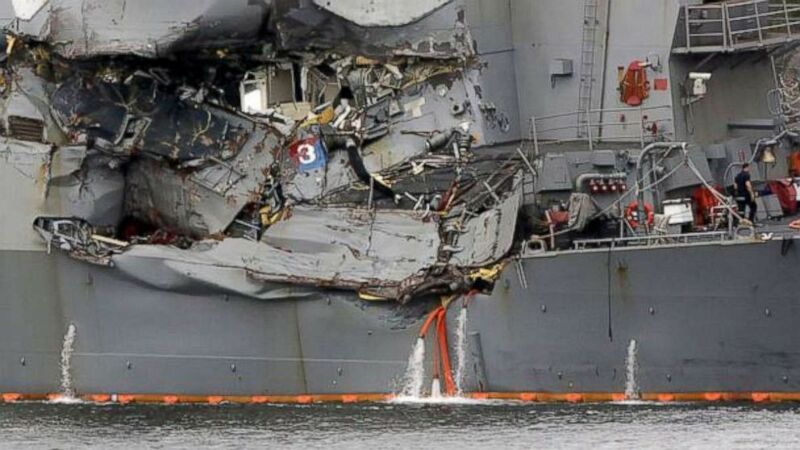 (Eugene Hoshiko/AP Photo) A damaged section of the USS Fitzgerald is seen at the U.S. Naval base in Yokosuka, southwest of Tokyo, June 18, 2017.